Techaholic® - Official Website of Techaholic The official website of Techaholic. Did you get burnt out paying EA money every year for the new version of NHL? It might be worth revisiting the EA NHL series because this offer won’t cost you a penny. EA has just announced an NHL 19 open beta for PS4 and Xbox One starting now and running until August 2. If you’re not a big fan of paying EA each year for a new release of their NHL game, perhaps this offer is something you need to consider. Now might be the time to revisit the EA NHL series because for now it won’t cost you a penny. EA has just announced an open beta for PS4 and Xbox One starting now and will run until August 2. NHL 19 features the World of CHEL which is touted as a single reward system where you can design you character and compete to earn things like player customizations and custom gear. Think of this as a revamped system that takes elements from previous NHL games while adding new features. The open beta allows you to try out some of the new customizations like gear and traits. If you like to just play head-to-head, the open beta supports online versus play which for many will be a real treat. You will be given an opportunity to see the new “Real Player Motion” technology for more realistic skating along with testing out the so-called improved hitting system that should make smaller players fly when hit by larger players. We shall see. Something unique that EA is bringing to NHL 19 is pond hockey mode and you can try it out during the open beta. 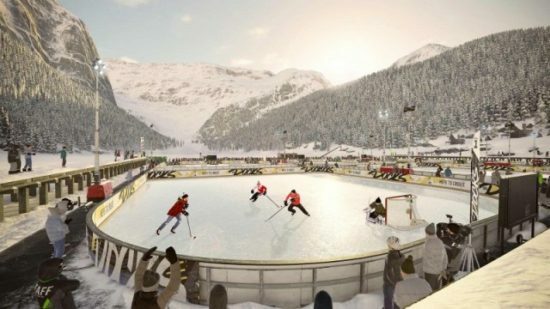 This game mode replaces the arena with an outdoor rink that appears to be in the middle of a mountain somewhere. Whatever the case, the cheering crowds are replaced by snow tipped trees in this mode. EA really didn’t skimp of the offerings here either which is good news. Obviously the goal here is to show enough of the game to get people to buy it. EA and gamers will also benefit from the open beta through game data and feedback that will be used to implement changes and fixes into the final product before it ships. So really this is a win for everyone. NHL 19 can be pre ordered right now with a shipping date of September 14. If you pay the premium price for either the Ultimate or Legend editions, you get the game on September 11. That’s not all. On September 6, EA Access subscribers on Xbox One can play for 10-hours with the EA Access Play First Trial.